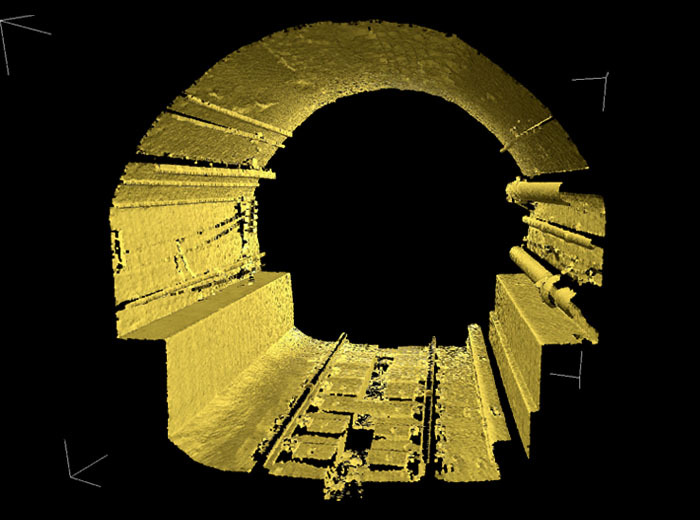 Here is a portion of a subway tunnel scanned by Badey & Watson. It is to be relined with reinforced concrete. The precise model developed from the scan by Badey & Watson engineers will allow more off-site fabrication, thus minimizing the time the tunnel will be out of service.